And just like that…Magic!! 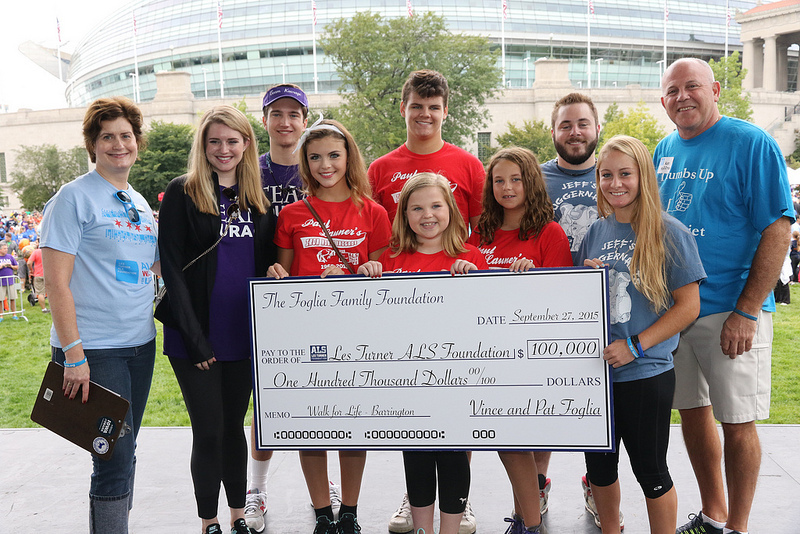 Team Kourage raised $33,145 in the Les Turner ALS Foundation Walk for Life, on Sunday, September 27th, at Soldier Field. Double what we raised last year! 73 people walked With us. 73 people walked For us. Over 150 people donated for our family. Some, donated twice! 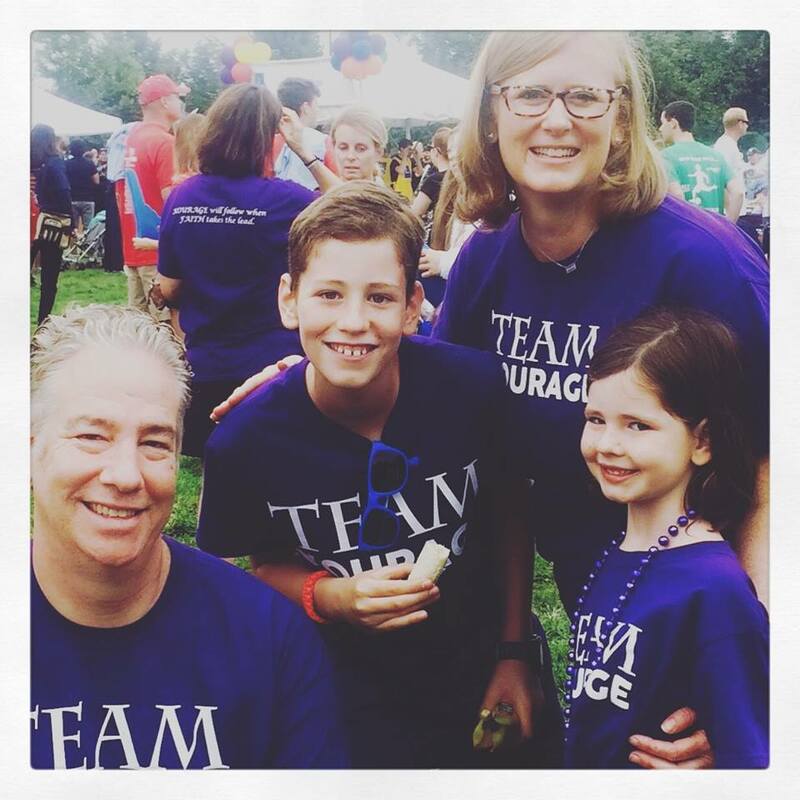 Out of 200+ teams, Team Kourage was #4 in fundraising! And, I do not do well asking for money, so that is truly the kindness and generosity of those around us. $33,145. That is remarkable! Our friends and family are Remarkable. It took a Village… I truly mean that! This lovely group of ladies, and Mark, had every last little detail planned. They had a banquet of food and drinks for Team Kourage! I love these people!! Me and my buddy, Mark! A couple of college kids made it home for the Walk. Welcome home Patrick and Mary!! Team Kourage is in the house! Linda overseeing the Jimmy Johns sandwiches. They’re Freaky Fast! Kontinuing with the Kousins for a Kure! Audrey’s art project. The lost Stein. Nancy and my darling god-daughter, Lindsey! Lora, Lisa, LAP and NKO! Enjoying some post-walk libations…or perhaps, this is pre-walk? It’s 5:00 somewhere! Soldier Field… before the Walkers converged upon it. 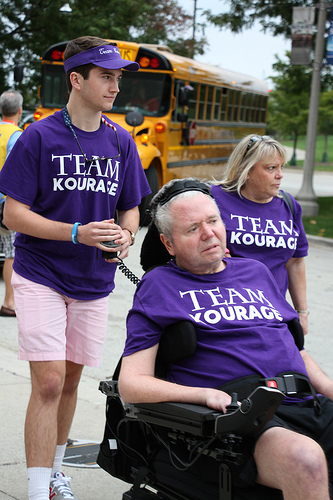 Thank you Foglia Family Foundation for donating $100,000 to the Walk, which $14,350 was directed towards Team Kourage! Paul Launer’s Iron Horse Brigade, Jeff’s Juggernauts and Team Kourage all received a portion of this generous donation. And that, my friends, was a very good day. Thank you everyone, from the very bottom of our hearts. Thank you to all who donated. Thank you for all who walked. Thank you to those who came to walk, but helped our family instead. Thank you to those who walked with us in spirit. Thank you for all the thoughts, prayers and love that has been given my family. We are blessed beyond belief. One day there will be a cure named after Lou Gehrig, rather than a disease. Blessings, that last picture with the $100,000 check gave me goosebumps…wow, to have influenced that generous contribution is just fabulous. My favorite of course are the pictures with Kevin, and the one with his big smile just says it all. He’s the hero in all of this, and prayers continue for him and your family. Such Kourage!! !